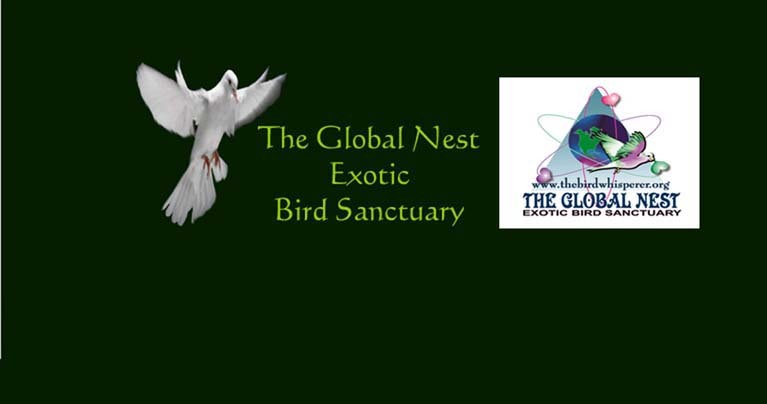 Welcome to The Global Nest Exotic Bird Sanctuary. parrots. Many of the parrots in our care would have been euthanized if we did not take them into our sanctuary. your support is needed. We hope that you will see a bird or two that you would like to help support. time is donated, so 100% of your gift goes to the birds. You may chose to sponsor a specific bird or just donate to the sanctuary. Please feel free to contact us for a receipt for your donations. Amazonsmile.com, with the added bonus that Amazon will donate a portion of the purchase price to our sanctuary! by providing free shipping for donated items. Michael Cox, and the entire staff and flock here at the Global Nest Exotic Bird Sanctuary. We are located outside of Columbia South Carolina. Adjacent to the Congaree National Park.